Well I’ve got a predicament here, it’s Tuesday and I have nothing to do. I usually have work or plan stuff to do on Tuesdays so I won’t notice server maintenance … but yeah … I screwed up today. Yes, yes, I could clean but I’m not THAT desperate so I thought I’d look through search terms that brought people here. See if I could be of any help, probably not and I wouldn’t take any advice I give that seriously but let’s give it a shot. Oh wow, seriously people? These are all legitimate questions mostly, where’s the fun stuff? I was depending on you! Oh, alright I’ll answer your questions. Yes, you absolutely can. If I did it anyone can do it. I’m guessing it took about 4 or 5 tries but it’s been a while. Is there a method? I’m sure there may be but I never pay attention to stuff like that so be assured, you CAN stumble in there and muck about for a while and ultimately you will succeed. I know. You’re in the wrong zone, you can’t use that here, yada, yada, yada. I have no idea. I’m just going to blame it all on Cross Realm Servers. They are responsible for so much pain in my life that I’m sure they’re causing this too. It’s damn lucky CRZ lets me group with friends on other servers or I’d be leading a pack of pitchfork-waving, torch-carrying, maniacs to burn the stupid things down. I would say the scenario Arena of Annihilation is the Pandarian equivalent. You should do it, it’s fun and if it’s early days in your Pandarian adventure there’s a quest in there with a iLevel 450 weapon reward that might be helpful. Go there. Do that. Magic pets or Dragonkin. While my magic pet packs a huge punch, he’s also kind of squishy so I only use him on teams with a healer, otherwise I use a Dragon against flying pets. They are kind of my go-to guy when I want a pet that will act as my utility player. Hope that helps, but again, I wouldn’t trust my advice. If your Dragon gets pounded to dust don’t blame me, this is just what I do. Well it does, but only after it’s annoyed you into the seventh realm of hell. Mash the 1 button repeatedly, and mash the 2 button to interrupt the stun or whatever the stupid thing does. Keep this up until the buff thingy reaches a stack of 50 and it’s over … until the next one and the next one and the next … don’t despair, I hear that in Patch 5.2 they will occur less frequently so hang in there, help is on the way! Woo hoo! We’re mighty touchy here aren’t we. Had a bad week? I can relate. And seriously I don’t care about whatever it is that you didn’t do, since I don’t even know you so we’re good. But, it’s the wild crop isn’t it? No … no … I don’t CARE, I’m just asking. Your farm is an uncared for tangle of wild crops and virmen? Is that what you didn’t do? OKAY! OKAY! I’m sorry, just asking, geez. Welp, that’s it. Yeah … I know. Everyone’s all serious business, no funny stuff. Aside from various requests for various Raquel Welch body parts that’s all I got. But on the bright side I think I used up almost an hour. Only six more hours left ……………… okay, maybe I’ll clean just a little. 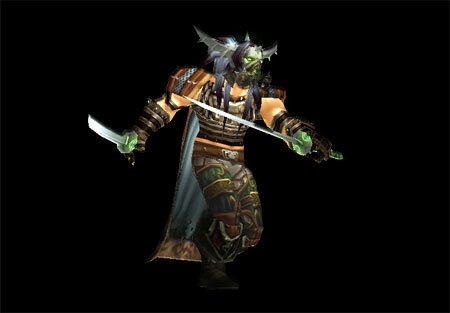 There’s my poor Death Knight. 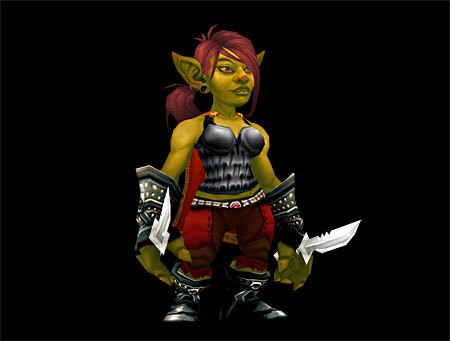 She used to be human, well, she used to be REALLY human then she became a Death Knight. 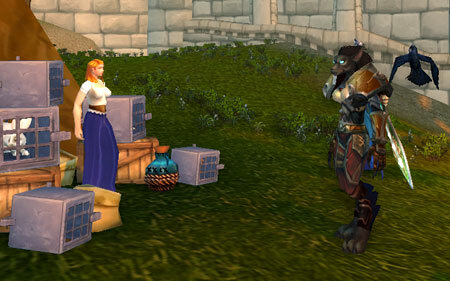 Now she’s a Worgen, talk about a hard life. I do not know why we can’t bond. I’m just not that into her, I don’t know why. 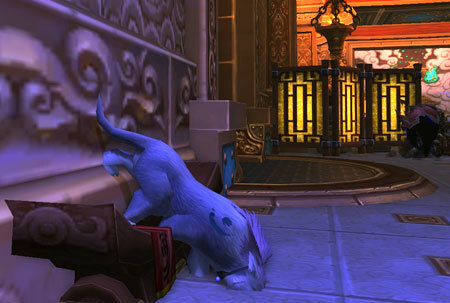 I HATE, HATE, HATE, melee DPS but my absolute favorite character is Catwynn a Druid kitty so I endure it for her sake. My favorite is ranged DPS but I can’t get a Mage past level 60 even if you did literally pay me. 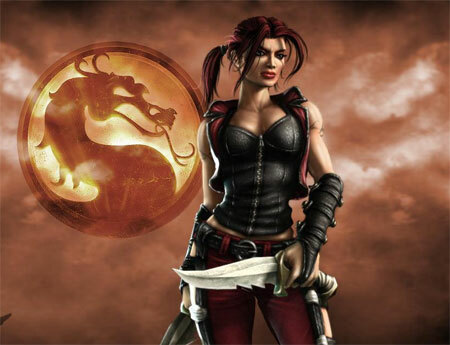 I find it interesting that the characters I like, don’t seem to be based on how much I like the play-style. What in the hell is going on here? In an effort to try to salvage my relationship with my Death Knight I race changed her to Worgen. What? Yes, that’s really why I did it, why? No, I did NOT just do it to get the Gilnean Raven that was just a wonderful bonus. I’m really trying to like her and thought this might help. Time will tell if this works, she has been my miner for ages. I don’t even have the vaguest idea how to DK, a couple of expansions ago I made a spamable macro for a rotation that was acceptable back then and I’ve never changed it because she doesn’t seem to die overmuch. She runs around in clothes that are an expansion old. I really feel guilty about this kind of abuse but just not enough to do anything until now. I’m really interested in this, is it the voice? I do know I can’t level a female Blood Elf because of the voice. She was always yelling at me about something, I couldn’t take it. How do these characters take on a personality while I’m not looking. I’m not consciously making one for them, but they have them. Is it just me? 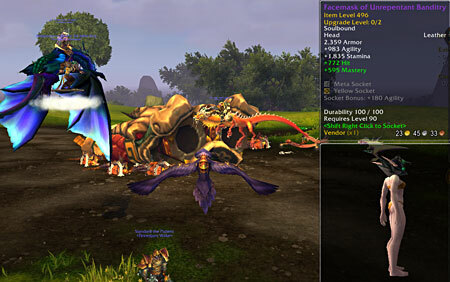 I have a million Warlocks but three I actually level. Cimmeria, an Alliance Warlock who I enjoy playing but she has no personality that I’ve been able to detect. I’m still hoping. Ironsally, my Ironman competitor who has LOTS of personality. 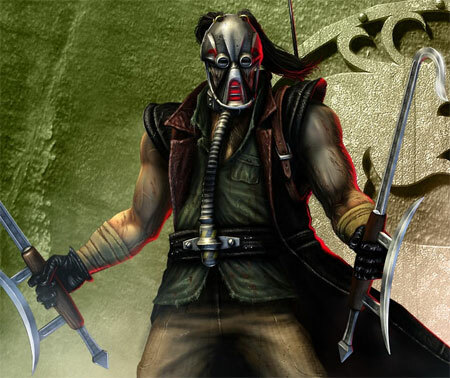 Cimmeria and Ironsally are also identical twins but not the least similar otherwise. Weird. Sasche’s my Frosaken Warlock who has a personality that could only be described as taciturn, but it does exist. The first, a Night Elf Hunter … yeah … it’s kind of a rule isn’t it. She was happy to step down as the main. She found communicating exhausting and really is happier communing with her pets and skirting the fringes of populated areas, picking flowers as she goes. A fiery Draenei Shaman who is definitely pissed off about something. She took over for Zor in BC. She’s the most likely to be rude to you, she seems to be seething with something. 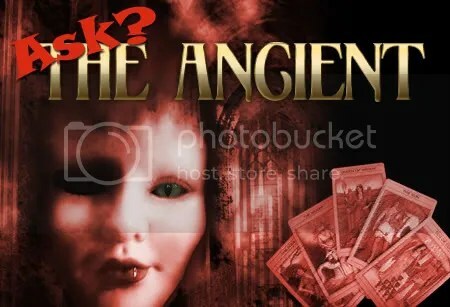 Anger? Disappointment? Because she was set aside when she stopped carrying a big two-handed weapon? Yeah, I don’t think she ever got over that, poor girl, she wants to be the main. Human Mage level 53 bank alt. She’s a little embarrassed at her failed attempt at surviving out in the world, but secretly she’s thankful that now all she has to do is stand at the AH dressed in a lovely tux. The world is not a safe place for a Mage played by me. Newly Worgen Death Knight, will this help develop a personality? I’m hopeful I’ll find out who Jannina really is but it’s early days. Human Warlock, I really think the lack of personality I detect may indeed BE part of her personality. She IS a Warlock, she knows this bothers me, I think she’s hiding it purposefully just to get under my skin … typical. Sheesh, it’s early … enough with the deep thoughts on my characters. I feel kind of bad. I think those guys in The Stockade thought we were there to help them with the rowdy prisoners. Because of the CRZ no more than 3 time zones thingy Navi and I had to resort to hiding in there to compare skins on our pets. WHAT! Well come on, you knew I had to go there at some point. Pet skins are very important. We compared our Tundra Penguins and found that mine has evil little red eyes and hers has lovely blue ones. We could only conclude that mine came a little too close to Arthas at some point, poor penguin. Dangerous place that Northrend. So now, what to do. Snakes come in various colors, should I collect one of each? Bunnies? Rats? Decisions, decisions … where’s my Safari Hat? First, I TOLD Cat to be more specific when she sat on Greatfather’s lap and told him what she wanted. Saying I want that really cool Tol’vir rare archaeology item just didn’t do it. I mean he’s not a mind-reader Cat, he doesn’t know you’re a big battle pet fan. 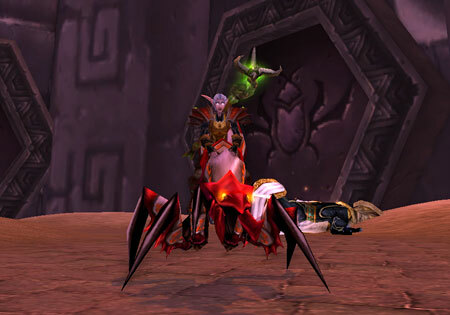 Be happy with your little bug mount, sheesh, it’s always something. And then right after that, this … I detect a pattern, not sure where it will end. Anyway, long, long, ago in the days of yore which would be sometime like about last October I remember Cat and I hunting down our battle pets. Oh! Look! I’ve found a Silky Moth! Isn’t he wonderful! OH! And he’s a common! How lucky are we! Yeah, you get the picture. We were squeeing in delight over everything we found, didn’t matter what quality it was. YAY! YAY! We found one. Yeah well that sure has changed. Today I spent … I don’t even want to admit how long … just a really long time trying to replace my rare Whelk with a BETTER RARE Whelk. It’s come to that. Not even satisfied now with a rare, it must be the BEST rare ever. It was a mistake to find out about all the breeds. LOOK! LOOK! Formulas! Computations to be made! Aaarrrggghhh! My rares must be the BEST. Yes, I really have gone batshit crazy here. 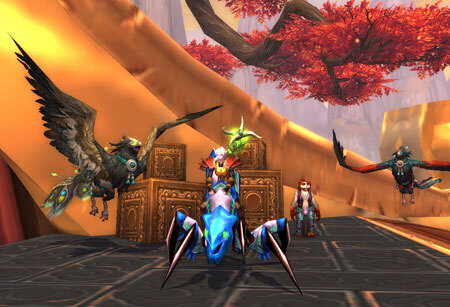 Those wonderful carefree days of skipping through Azeroth happy with whatever pets I found are over. History. Cat and I are dissatisfied now if our rares are not best in slot breeds! I KNOW, it’s all kinds of craziness! So we took some of our hand picked, really SPECIAL rares and did a few PvP battles and had our hat handed to us more often than not. Hmm … where did we go wrong. I must recalculate. We must look for EVEN BETTER RARES! OMG! Where will this end? Okay, got to go. Cat and I must find the VERY BEST Dung Beetle EVER! EDIT: OMG! Navi just linked me an Emperor Crab with INSANE POWER! Forget bugs, I must own the crab of unending POWER! Contest! Win a Nasty Little Earth Spirit Pet! Yes, my battle team smacked down that Thundering Spirit to prise that Earth Spirit out of its hands. After all the pain that Thundering Spirit has put me through I didn’t feel the least bit guilty either. HA! In fact I did it again and again and ended up with a surplus. 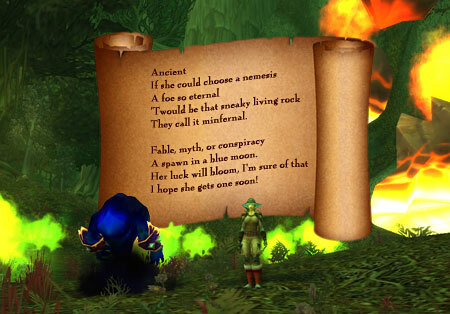 This morning I received my wonderful poem from Navi and I had an epiphany! 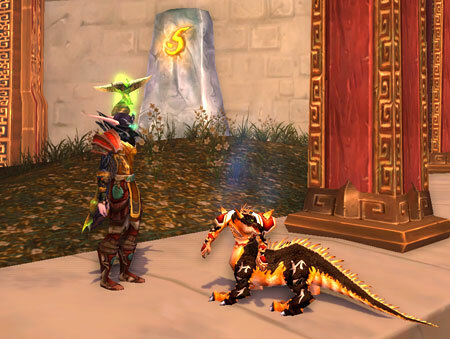 I love all things (except you, Minfernal) battle pet related. 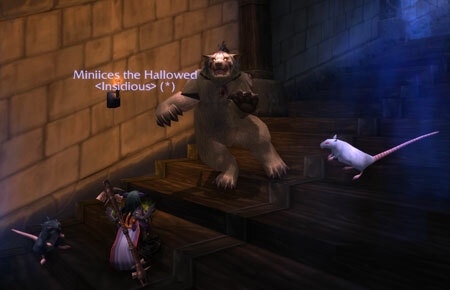 Ratshag has a battle pet story that I’ve gone back and reread I don’t know how many times. Matty told the tale of Mrs. Whitworth saving the day, I loved it. When I read Navi’s ode to Minfernal I thought selfishly, hey, maybe I can bribe people to write more for ME ME ME! 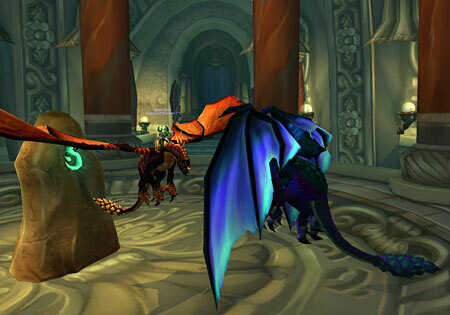 So if you have a tale to tell about your favorite battle pet, an epic tamer battle or anything related to battle pets I would so love to read it. A story, a poem, whatever you like. If you would link your post here so I can find you, or if you don’t have a blog just post your story or poem in a comment here. Oh February 1st I will take all the names and /roll for each one. Yes, I’m taking the chicken way out. I am not going to pick because, if you know me, all you’d have to do would be write a dog story, and YAY, you won. See … I’m not that objective. On February 2 (my dog’s birthday) I will post the winner and then endeavor to reach your server to mail your Earth Spirit to you. I am not a world traveler like Navi, so I don’t know how to get on European servers. So shipping only works to US or Oceanic, if you’re on a European server you’d have to slog your way to US Fenris. My devious plot begins! Will I be able to get more battle pet stories and poems to read? Only time will tell, squeeeee, got my fingers crossed! Thank you so much Navi! I love my poem, can’t say the same for Minfernal, BUT his poem I love! Galleon, Third Time’s the Charm! I guess that’s not strictly true, more like 3 1/2 time’s the charm cause the first time I killed him I was assisting the Horde … so yeah … no chance there. YAY! YAY! YAY! Facemask of Unrepentant Banditry! Thank you, thank you Galleon … oh sorry … guess he can’t hear me. Let me tell you, Cat was overjoyed. I’ve never seen her so excited since she managed to best Major Payne. She called out Larry to admire her new hat. Yeah, okay so it’s not all that attractive maybe. Larry! Larry! Stop that, that’s not funny, turn around and look at me! Larry replied that he wasn’t turning around until she did the decent thing and turned into cat form to protect his eyes. Or at the very least turn off display helm. Sheesh, Larry’s such a drama queen. Anyway, this was a red-letter day for Cat. As Cat buys her gear by collecting valor 5 at a time from dailies and only groups for holiday or world bosses because of her fear of commitment to strangers, this was huge! She now doesn’t have to spend those slowly collected valor on a hat! Happy days! I’ve never figured out the whole grouping comfort level thing. Let’s see, scenarios are okay, the possibility of enduring two jackasses for about 15-30 minutes seems acceptable, and that’s really never happened. Holiday bosses, four strangers for about (usually) under 10 minutes, fine. World bosses, 40 people, not sure how long. Guaranteed some jackasses, absolutely doesn’t bother her at all. Waiting in a queue for upwards of an hour AND THEN getting thrown in an instance with rude miscreants for Elune only knows how long is her limit. Apparently there’s a time component involved in her ability to withstand abuse. Cat has TinyDPS installed but never looks. She’s too scared. She was so chuffed about her new hat she even decided to take a peek. Twelfth place! Yay! Wasn’t too crappy … unless … unless … what if they were all healers?